The main thing with hosting a teenage party is to make sure that it is lively and lots of fun. That’s where a mystery party kit can really help. 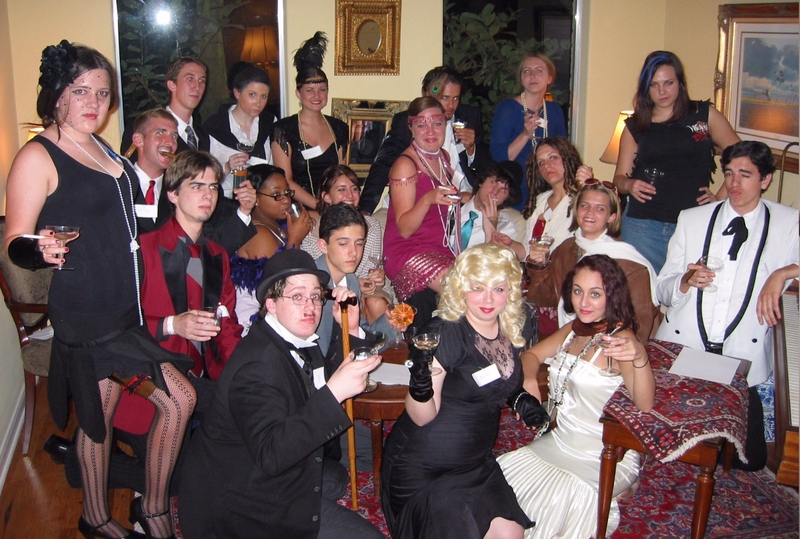 Parents need to decide if they feel more comfortable with their teens having a “mystery party” versus a “murder party”. Especially with young teens, some parents prefer it to be a mystery not a murder. What gender will the guests be? Then next decision is whether to invite all of one gender or a mix of genders. This also sometimes depends on the age of the teenager as generally younger teens prefer just having the same gender around, whereas older teens usually definitely want a mix of genders. Sometimes it also depends on the type of party and the time it is being held. For example, teenage girls having a “high tea” party using The Love Letter kit will generally only want their girlfriends to be present. At Merri Mysteries we have a number of different kit formats. For small parties of 8 to 16 guests, we have kits in standard format, play format and mini format. With the standard format, you receive a bundle of clue files for a range of different numbers of guests. So, for example, a file for 8 guests, a file for 9 guests, etc. You print one you need for the number of guests you are having. The advantage of this format is that everyone gets a roughly equal number of clues to say. The disadvantage is that if someone can’t turn up at the last minute, you have to go back and print the smaller version or have someone play two roles. There are three acts. You go around the group and each person says their first clue, then you go around again and say your next clue and so on. Sometimes the person who speaks first is defined. If you have a question for another suspect, they will have their answer on their page and when they say it, this counts as their turn for that round of the group. With the play format there is a bit more flexibility as the clues are only defined for those playing the suspect roles. You divide the extra lines up amongst however many guests you have playing the optional roles. The are three acts in the play. The order in which people speak is defined so this makes it more straight forward. The mini format is generally only for 8 to 10 guests and it is for a party activity that is only intended to last around 30 minutes. It consists of one act of the play and a report. For larger parties with more than 16 guests, we recommend our “meet and mingle” format. Everyone just mingles and chats about their clue(s). Some clues are questions for a suspect and the suspect will generally have the answer on their clue page. Later on a report (or two or three) are read out to the whole group. For all the formats, after everyone guesses who they think did it and how and why they did it, generally the suspects take turns reading out the Who Did It pages. Generally these days, most parents or teens email out the invitations. You just attach the JPG of the picture for the kit and add details of the location and time for the party and the character you have picked for the guest to play. It’s best to choose a character is as different as possible to the person’s normal persona. If you want, you can copy in the description of the character they are playing and their dress suggestions. You may also like to attach the pages relating to the suspects or copy the details into the email. With some kits, you can include a link to a page on which to view these details. It is good if they can read the descriptions of all the suspects before the party (not just the description of the character they are playing). That’s because we sometimes hide clues in these descriptions. If there is time you can have each suspect read out their description when you introduce them at the beginning of the party. You can also have a printout of them lying around at the party. This is also useful if people turn up late. Some parents like to make sure they have the phone numbers of the parents for all the guests, so they can contact them if a teen goes missing or has a medical emergency. It’s a good idea to start the party fairly early so that people aren’t feeling sleepy by the time it comes to guess who did it. Most parties take around two and a half hours, so starting around 7pm is a good time for an evening party. It’s fun to have some prizes to award to the teens that have the best costume(s) and that work out who did it. Sometimes more than one can guess, so you may like to have a prize you can divide up. The picture in this blog shows a group of teens doing Poetic Justice. As you can see a number went to a lot of trouble with their costumes and so they deserved a prize. As she mentions, having music to match the theme can also help set the atmosphere for a great party. I hope these suggestions will help you host a great teen party soon!